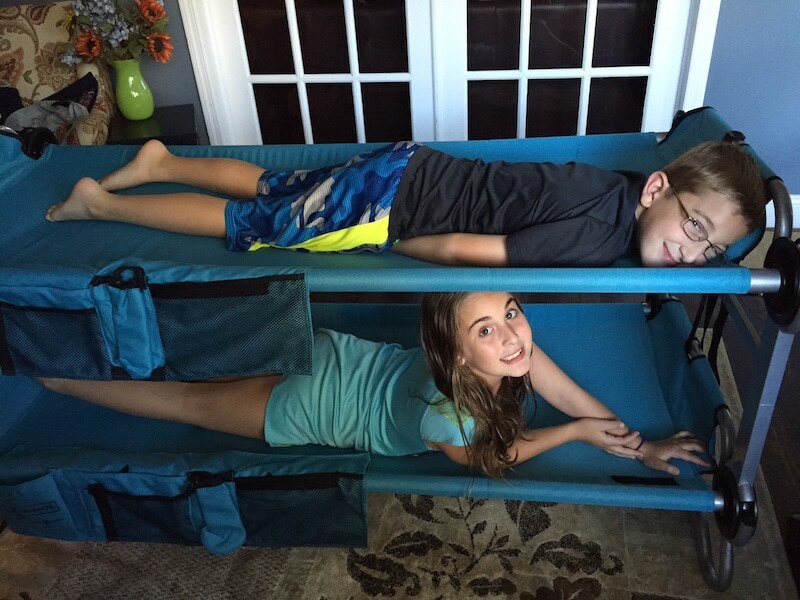 Kid O Bunk: Perfect For Sleepovers And Road Trips! Lady and the Blog → Living → Featured → Kid O Bunk: Perfect For Sleepovers And Road Trips! The Kid O Bunk has really changed our lives because we had a ton of guests and visitors and now we are able to squeeze them into our house with ease! In fact, my best friend has 5 kids and when they stay over – it’s crazy! We end up fitting people on the ceiling! LOL! If you are online looking for sleepover solutions, here is a great one. 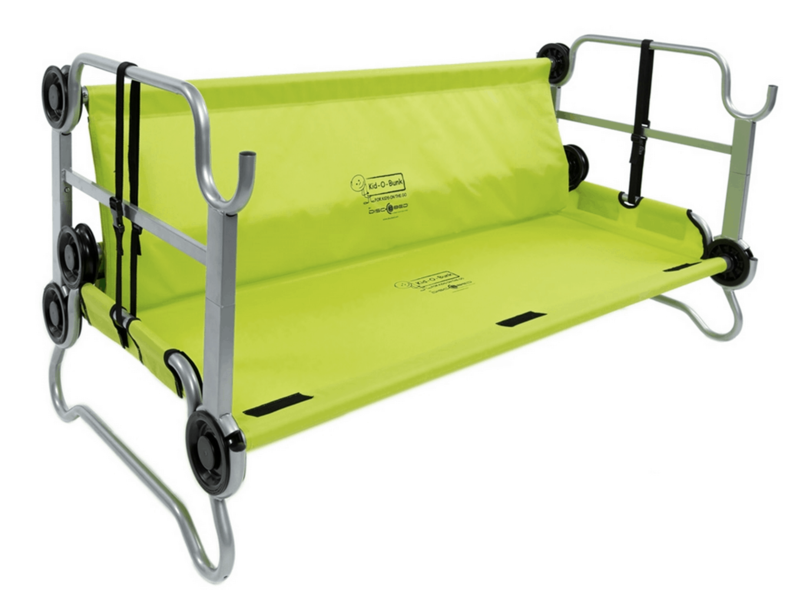 Well, we were checking out some options for an upcoming camping trip and came across Kid O Bunk and fell in love. What a great solution for every family. 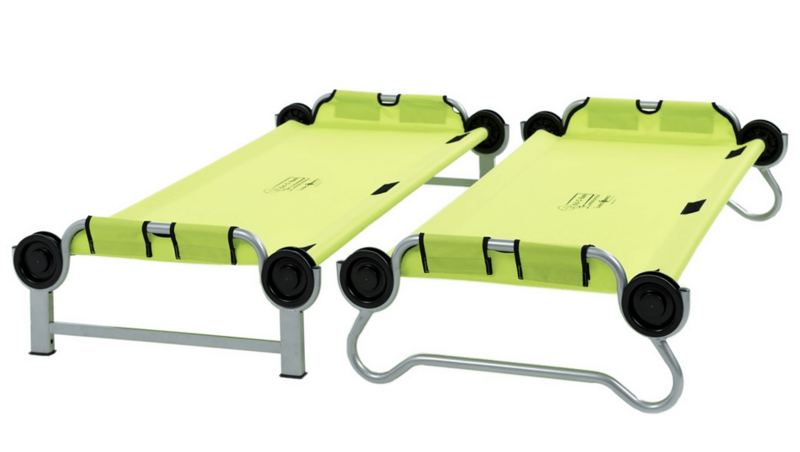 If you are ever in the need of extra sleeping arrangements – whether you are on on the road or entertaining guests at home – you should check out this option. Update from 2019 – I had to come back to this post and give a little update. To this DAY, we STILL use this product. It is such a lifesaver and has been one for YEARS. I cannot say how many times we’ve pulled these beds apart and used them when guests have come over for overnight stays. I recently bought new couches and really wasn’t keen on children sleeping on them because they are messy. Well, every single time, what do me and Bill do? We pull out our Kid O Bunk beds! No questions asked. Because it uses patented lock-in discs, there are no tools needed for assembly – just snap and lock in the discs to configure into a stackable bunk, two single cots or a bench. Really easy to put together! On average, it takes my husband a few minutes at best. And great news! 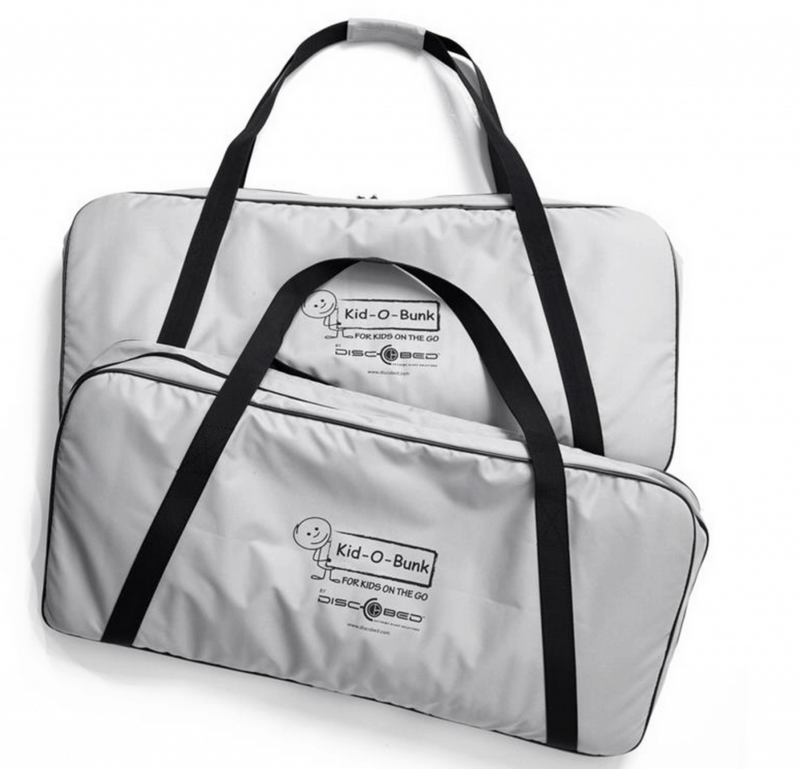 It packs down into its own zippered carrying bag for easy storage and transport. We don’t even keep them in the attic. We actually have them in the basement for easy access. That’s how often we use them. Don’t want to use bunk beds? No problem! The truth is, we rarely do. We typically have the beds set up side by side. 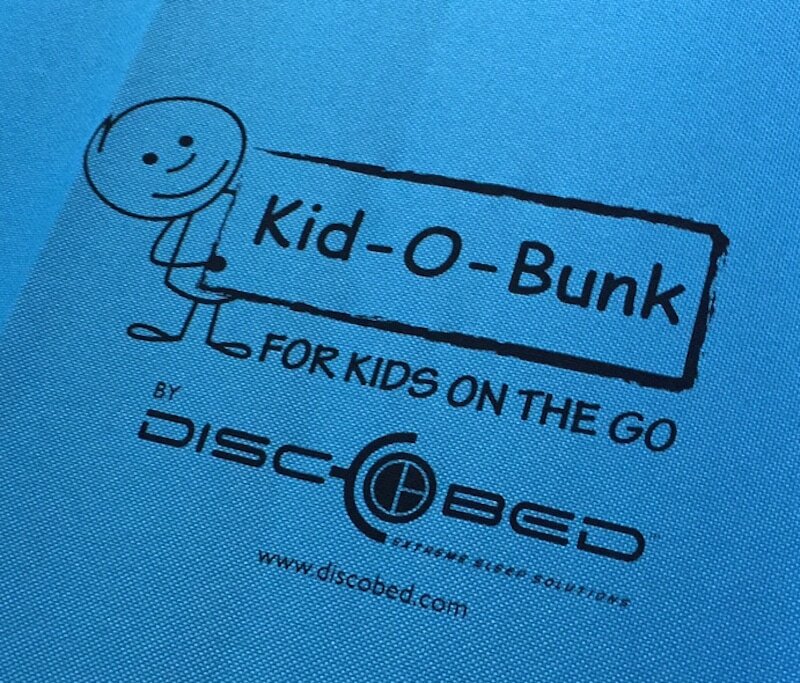 You don’t have to worry because Kid-O-Bunk can configure into a few different options – including separate beds and a couch. When they aren’t using the bunk beds for sleep, my children are using Kid O Bunk as their reading hub! Completely obsessed! Great addition to our household. Available at Target.com and Cabela’s in lime green and teal for $289.99.